Working towards keeping plastic out of our oceans. 8.3 million bottles turned into recyclable Cartridges and counting. HP introduced the first Original HP ink cartridges made with plastic bottles recycled in Haiti. Through March 2018, we sourced more than 170 tonnes of plastic (over 8.3 million plastic bottles) from Haiti—plastic that might otherwise have washed into the waterways and oceans. Together with our partners in the First Mile Coalition, we have also provided 50 children with educational opportunities as well as food and medical assistance, while enabling local economic opportunity. 99,000+ tonnes of recycled plastic used in Original HP Ink and Toner Cartridges. Through 2017, we manufactured over 3.8 billion HP ink and toner cartridges using more than a cumulative 99,000 tonnes of recycled plastic. This has kept 784 million HP cartridges and an estimated 86 million apparel hangers and 4 billion postconsumer plastic bottles out of landfills, instead upcycling these materials for continued use. Over 10 million HP Cartridges have been recycled through the Cartridges 4 Planet Ark program. In 2017, HP recycled 10 million HP Cartridges through the Cartridges 4 Planet Ark program. HP Australia is a founding member of ‘Cartridges 4 Planet Ark', since the program's inception in 2003. Cartridges 4 Planet Ark provides Australians with a free and easy way to recycle their used printer consumables, ensuring that nothing returned will ever end up in landfill. 70% of printer cartridges sold in Australia each year end up in landfill, taking up to 1000 years to biodegrade. HP Cartridges are designed with the planet in mind. Through a multiphase, closed-looped recycling process, HP creates Ink and Toner Cartridges using recycled plastics which could have otherwise ended up in landfill or our oceans. By choosing HP you help support us and our network of partners in building a better circular economy. By choosing Original HP Ink and Toner Cartridges and recycling them, you can help reduce your environmental impact without compromising on quality. The excellent print quality of Original HP Cartridges means fewer reprints and less waste. 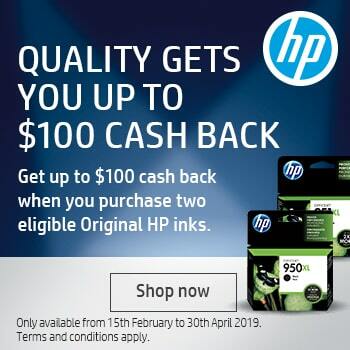 Today, more than 80% of Original HP Ink Cartridges and 100% of Original HP Toner Cartridges are made from recycled plastics and still meet high quality standards. 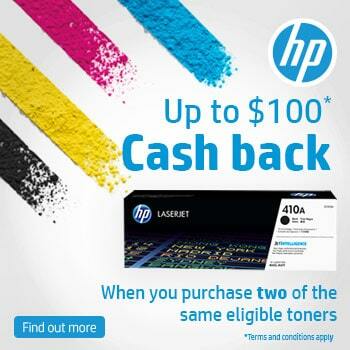 In Australia, HP Cartridges can be recycled at no cost through the Cartridges 4 Planet Ark program. No Cartridge returned through this program will end up in landfill. Instead, any returned Cartridges will be broken down and turned into road surfaces, pens and other useful products. If you purchase your cartridge through Cartridges Direct, we offer a postage-paid postal satchel that you can use to recycle ink and toner cartridges. If your business goes through more than 3 cartridges a month on average, you may be eligible for a Cartridge Recycling box for your workplace, where you’ll be able to receive free collection of your used printer consumables under HP’s Planet Partners Program. 1 Source: World Economic Forum. 2016. The New Plastics Economy Rethinking the future of plastics. http://www3.weforum.org/docs/WEF_The_New_Plastics_Economy.pdf. 2 Plastic Oceans Foundation, 2018. Facts. About Plastic. Help – Plastic Oceans Foundation https://plasticoceans.org/the-facts. [Accessed 24 August 2018]. Enquire today about your eligibility for a cartridge recycling box for your workplace and help us work towards a greener world.